The new L200 features completely refreshed bodywork, in line with the Eclipse Cross SUV, with a bonnet designed to make it easier to judge its corners while manoeuvring. It also features extra reinforcements in the front structure and where the cabin, bed and chassis frame are joined, while approach and departure angles have improved between generations.Revealed in Bangkok, Thailand, close to where it is manufactured, the newcomer has undergone more than 2,400 changes and launches 40 years after the first-generation model broke cover. 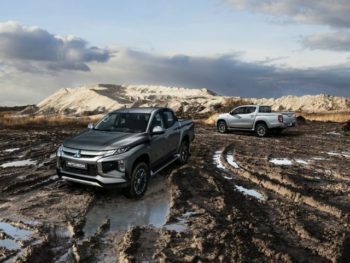 At 160,000 units per year, the pickup is Mitsubishi’s second-biggest selling global model, sold in 150 countries worldwide.